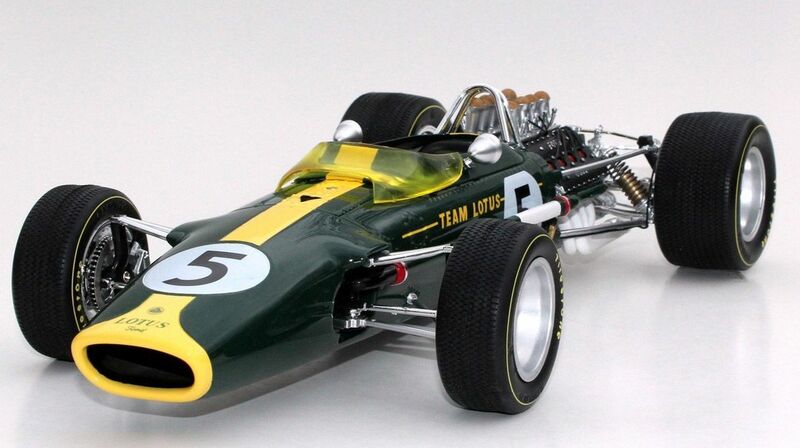 The Lotus 49, designed by Colin Chapman and Maurice Phillippe, was one of the most innovative and influential racecars of the post-war era. 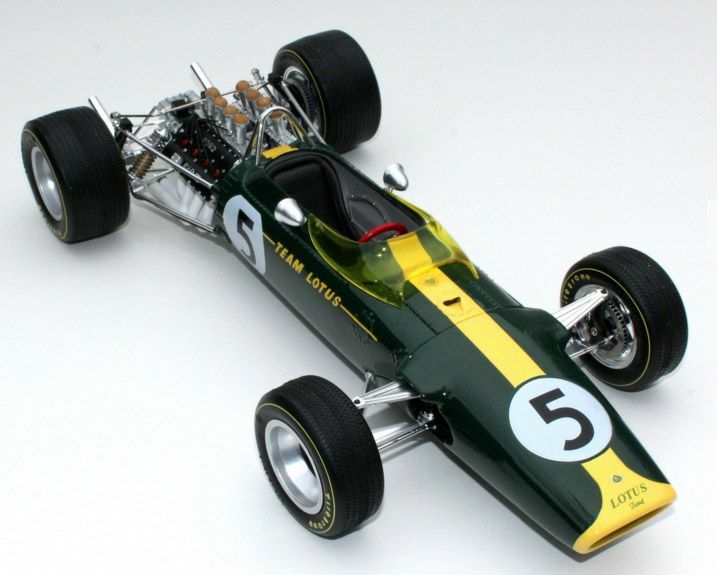 Automodello’s model captures it as it debuted and raced to victory by the legendary Jim Clark at the 1967 Dutch Grand Prix. Produced under official license with Classic Team Lotus Ltd., and strictly limited to just 499 certificated pieces, this Automodello’s exquisite model will be nothing short of a museum quality piece. Even the most discerning collectors are sure to be blown-away by the craftsmanship of the build quality, the astonishing level of detail and the fabulous finish to the authentic racing livery. 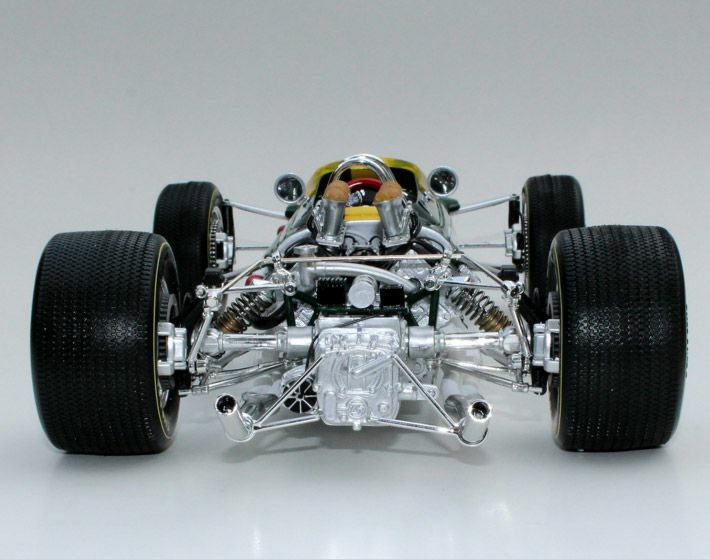 The Lotus 49’s torpedo shaped body shell, wrapped around the aluminum monocoque chassis with front sub frame, will include every single accurately placed rivet. 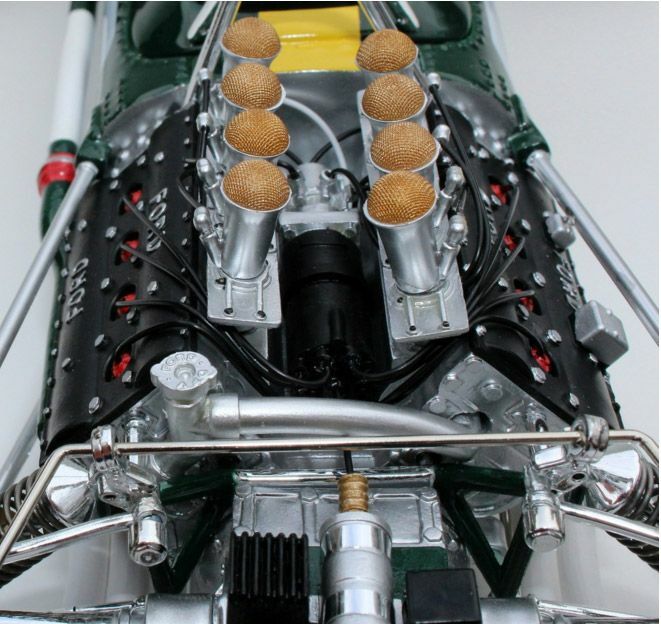 Prepare also to marvel at the fully stressed engine (consisting of over 100 individual parts), incredibly intricate brake lines, delicately formed air inlet gauzing, perfectly replicated instrumentation and pliable Firestone racing tires with correct tread pattern. 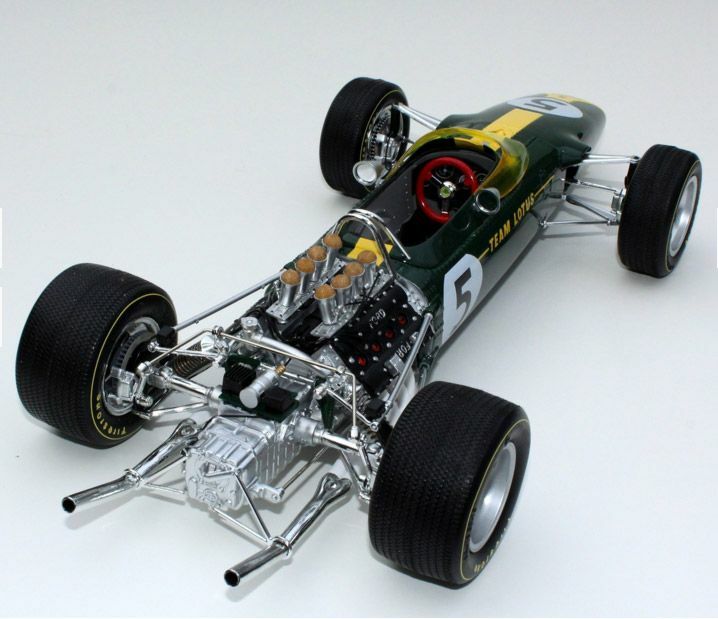 This mesmerising masterpiece will serve as a lasting tribute to the genius of Colin Chapman, the commitment of Team Lotus, the passion and talent of Jim Clark and the dedication to accurate scale replication from the team of skilled artisans at Automodello.  To allow it to be enjoyed and viewed from a 360-degree angle on a daily basis, free of dust or accidental damage, it will therefore be packaged on a stylish plinth with a clear protective display cover.